Running a successful cleaning company takes more than skill and dedication. It also requires the right tools. Today that’s more than just cleaning equipment—it’s the right commercial cleaning software. Managers have so much to do today. They depend more than ever on their business software. From bidding on cleaning jobs, to sending invoices, managing A/R, and sending appointment reminders. Let’s not forget about marketing. You have to maintain and grow your customer base. Managers simply cannot survive without a full suite of software applications that can handle their workload. The right commercial cleaning business software automates the redundant tasks, and simplifies daily routines, freeing up your time for more important things—like growing your client base and adding to your revenue. A robust cleaning business software has a full set of applications. It automates appointment reminders and follow-ups. It handles invoicing, bidding, tracking of employees and equipment, and payroll. It simplifies everything and makes your job easier. This helps you stay organized and makes your company look more professional. It also keeps you profitable with advanced asset, employee and job tracking. Businesses today simply won’t remain competitive without the right software. Most businesses tailor their software to meet their specific needs. If you are not automating management processes, including scheduling, bidding, invoicing, payroll, and more,.then you are falling behind your competition, limiting your profits and sacrificing growth. Our custom commercial cleaning business software is built to help you grow. It automates the redundant tasks like scheduling, billing and bidding. It also integrates the most advanced technologies, like GPS tracking, to help you manage operations and improve efficiency. Whether it’s for administrative purposes, marketing, employee management or inventory control, commercial cleaning software is designed to grow your business. It’s an essential part of presenting a professional image. It can also improve customer service, and help you maintain more customers. Our cleaning company software helps you be more responsive and customer-centric. It ensures accuracy and responsiveness. It also helps you market to new customers with less effort. That’s the best way to grow your business and remain competitive. Scheduling Manager is the perfect integrated software solution to effectively manage your commercial cleaning business. It has been developed over a period of almost 30 years. We are constantly improving our software. We introduce the latest innovations in technology. In our experience, we have learned what our commercial cleaning clients want and need. Then we provide more sophisticated software to our users. They benefit from our combined experience in software development and industry expertise. 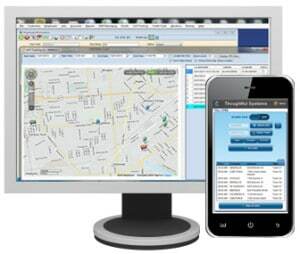 The Scheduling Manager is a powerful tool for the janitorial industry. Since our company had been in busines for quite some time and had established a strong customer base, we needed a program that would automate and handle our multiple scheduling requirements, as well as remove the “human error” factor from our daily procedures. After rewiewing your software and customizing your programs for our needs, we were up and running successfully in a relatively short period of time. The result of this joint effort have significantly placed our company in a situation unique to our industry. Our clients have come to rely on our dependability based on their knowledge of how efficiently our system runs. With our Scheduling Manager software and SM-Mobile App, you can automate all your routine office and scheduling tasks. Get rid of unnecessary paperwork and double-entries. Organize commercial cleaning job schedules efficiently. Present a more professional image to your clients by being more organized and exact. 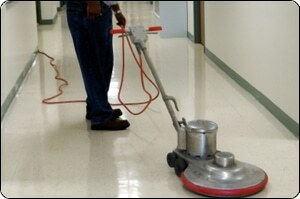 Commercial cleaning companies need to market to their customer base. They also need to market to new clients. Scheduling Manager provides you with a variety of tools to retain existing customers and gain new clients through integrated sales tracking and marketing solutions. Scheduling Manager includes an integrated Email Module to stay in touch with your customers. It also helps you manage and market to new leads. It can also send automatic reminders and alert notes, SMS text messaging, integrated Caller-ID and much more. The commercial cleaning industry is labor intensive. 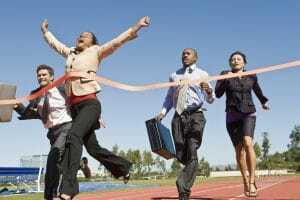 Businesses must manage on smaller and smaller profit margins. Our software uses intelligent reports designed for the commercial cleaning industry to give you deeper insights into your profitability when you need it. Smart commercial cleaning contractors keep careful track of important numbers, like labor and equipment costs, in real time. Scheduling Manager puts sophisticated Business Intelligence reporting tools at your fingertips—before time and labor are already expended. This helps you avoid costly mistakes and stay profitable.